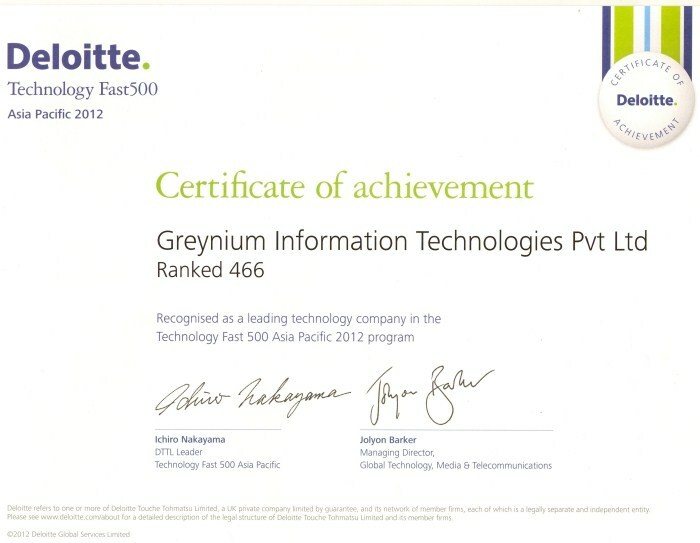 In October 2012 Greynium was recognized amongst the Technology Fast 50 India companies by Deloitte Touche Tohmatsu. Few days ago we received another recognition – ranked #466 in the Deloitte Technology Fast 500 Asia Pacific 2012 Program. Needless to say the entire team at Oneindia is thrilled. We took a lot of bets over the last 18 months. We are seeing it is paying off slowly. Boldsky.com – our multi-lingual lifestyle portal. Who doesn’t want to have a good life? Drivespark.com – our multi-lingual automobile portal. In spite of traffic on our roads we all have a passion to drive. Gizbot.com – our multi-lingual gadgets portal. So many mobile models out there, we reduce the confusion for you. NativePlanet.com – our multi-lingual travel portal. Making travel more informative for travel lovers. Our portals saw the largest growth in traffic last year (April 2012 – March 2013) – 129% to be precise. We strongly believe we can grow a lot more and there is a lot more for us to achieve. We will aim to get better this year. Congratulations Mahesh and Grenium Team.